Well one event led to another and before we knew it, we suddenly found ourselves helping to plan our own escape event. 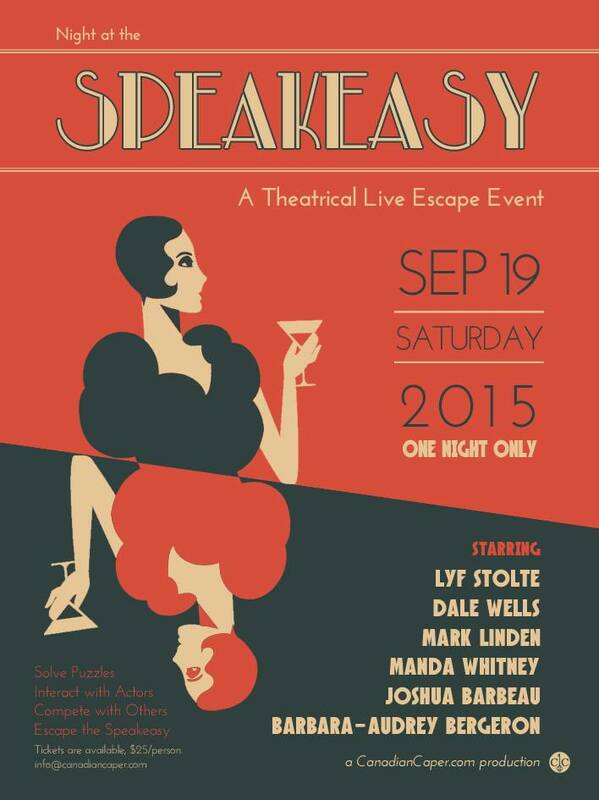 A live, large scale, one night only escape event called A Night At the Speakeasy happening this Saturday, September 19th at the Gates (66 Gerrard St E.). Look! You can see the website here! Being me, there has been much excitement and much nail biting as we prepared over the last couple of months. Nail biting because it’s something I’ve never actually tried before, there are actors we have to rehearse, and the entire thing is a huge undertaking. Exciting because it’s something I’ve never actually tried before, there are actors we get to rehearse, and the entire thing is a huge undertaking….actually scratch that last one. The huge undertaking thing is mostly on the nail biting side of things. We even have a poster! THAT MAKES IT SO OFFICIAL! BUT even with all the nerves running on all cylinders, this was a great opportunity to let me experiment on a question that has been on my mind since discovering escape rooms: how can an escape room implement story? It’s a tricky question to answer. Escape Rooms are still a new medium of entertainment. Much like video games, the big advantage to them is the interactivity and agency the player has. Unlike video games though, which have all the time in the world to let a story unfold, escape rooms only have an hour. In that hour, players are most concerned with solving puzzles and not so much with paying attention to a complex story. Most escape rooms have a bare bones story. “Psycho killer is psycho and wants to kill you, get out” or “You’re an archaeologist. You find a tomb. Oh no, it’s evils! Get out” are a couple of examples. Others try their hand at a more complex narrative, and these have had mixed results with me. As for our own efforts? Well, this has been a very good learning process for me. Our first pass at a narrative outline involved some complicated sequences. 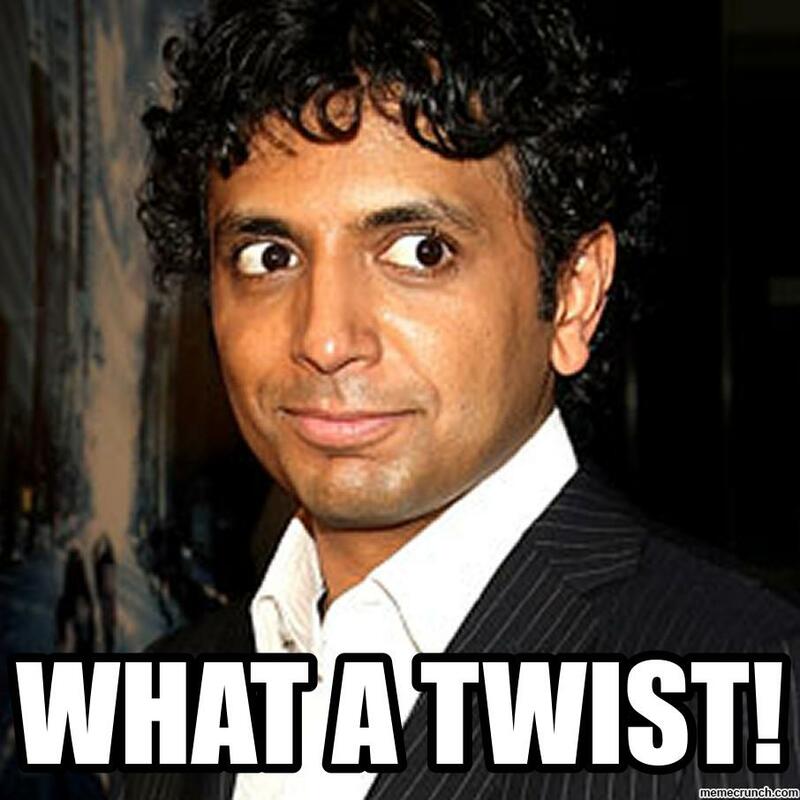 There were plot twists galore and a grand action scene that would happen in the middle of the game. It would be epic and glorious and all would be wowed and amazed. Unfortunately we forgot about that little thing called a time limit. This isn’t like a movie where an audience’s only job is to sit and watch the story, dammit. This is a high pressured interactive experience where the focus is still on puzzle solving. Would there be enough time to both solve puzzles and tell a story? Would people get confused? At what points should we start the story? Should the puzzles be solved alongside the plot being revealed or should it be the other way around? All questions to consider! Then there was audience size. Our event might have a maximum of 90 people per time slot. If it were a far more intimate experience with only 6 people, we would probably be able to play around a lot more. But we do not. So back to the drawing board we went, minus a couple of plot twists. Errol and I spent many of our morning bus rides firing plot possibilities back and forth at each other. We had a skeleton. We had our characters. We now had to fill in the details and see if the whole thing made sense. Any time there seemed to be a plot hole, one of us would point it out and if the other could not think of an answer, we would abandon the idea. I…learned a lot about letting go of my ego during these sessions :D. In the end we came up with something far simpler than we started off with, but far easier to pull off. The next question that came up was how best to get this story across. This one was a bit easier for me to handle. We had actors for this particular job. Have you ever played The Last Express? It’s a fantastic and underappreciated game from the 90’s. It’s also timed and is one of the best story-driven games I’ve ever played. Most of that story is discovered by listening in on conversations occurring as you walk up and down a train car. The best part about it though is that it’s very likely you might miss some story. It’s all there for you to find. But it’s up to you to discover it, not the game’s to give it to you. 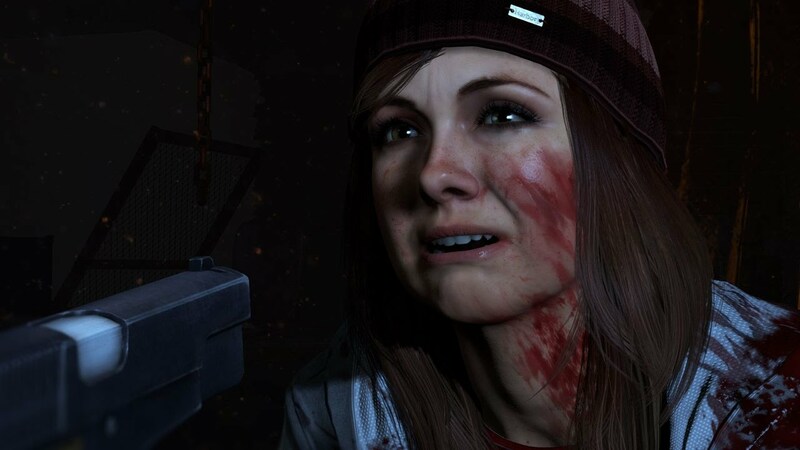 The same can be said for the very recent Until Dawn. Heck, you don’t necessarily even need to get all of the story to win the game. But if you do find the clues, it enhances your experience. Also, you get to kill off teens! Yay! This is very much how I wanted our escape event to go. We’ve created backstories for the characters. We created a simple plot with some complexities lurking underneath. Much of these backstories and complexities will never actually be revealed to the player. We made them for ourselves and for the actors so that they had something to draw from when performing. However, that story IS there for players if they ask the right questions. The story is conveyed by a player’s interaction with the characters and physical clues rather than scripted pieces to give exposition. It’s entirely up to them as to how much interacting they want to do. This is what I think (or at least I hope) will make this escape event different from others. There are characters physically present to talk to as much or as little as you want. There is information you will need from them. It’s a level of interaction that’s not always present in other escape rooms. Last week we had a beta test in which we implemented our story. Up until that point we had just been testing puzzles, making sure they flowed well and could be solved in time. I was more than a little nervous to see how everything would work together. These are our actors! Exciting! The group who came though ended up loving talking with the characters, specifically two players who turned out to be newbies to escape rooms. I was playing my own character and it was a ton of fun to see a couple members of the team get into talking more in character. They didn’t need to of course. But it made it all the more enjoyable for them. And that’s what makes an escape room for me: the experience of it. Yes, the puzzles are a very integral part of the room. But it’s the experience of feeling like you’re transported to another world that truly makes it an escape room. At least it does for me. Am I still nervous? Oh heck yes. I still have no idea how this whole thing is going to work once we get 90 people in the room. 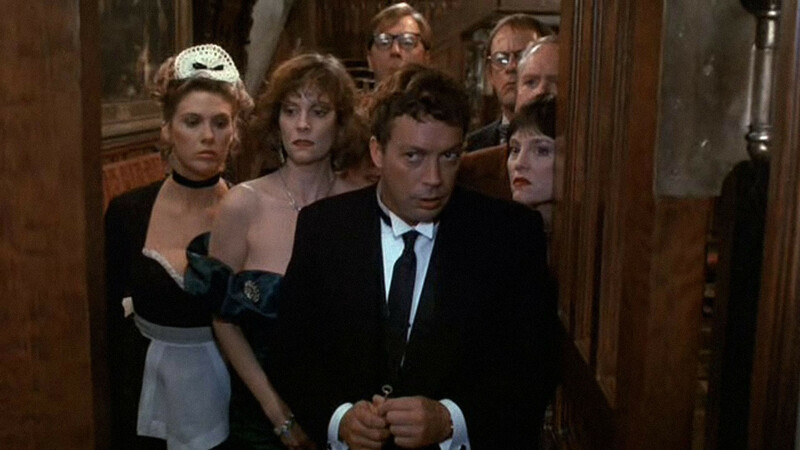 But at the very least, this was a great introduction to the world of narrative storytelling. I just have to get through the next…six days now…whoo boy….TALLY HO! 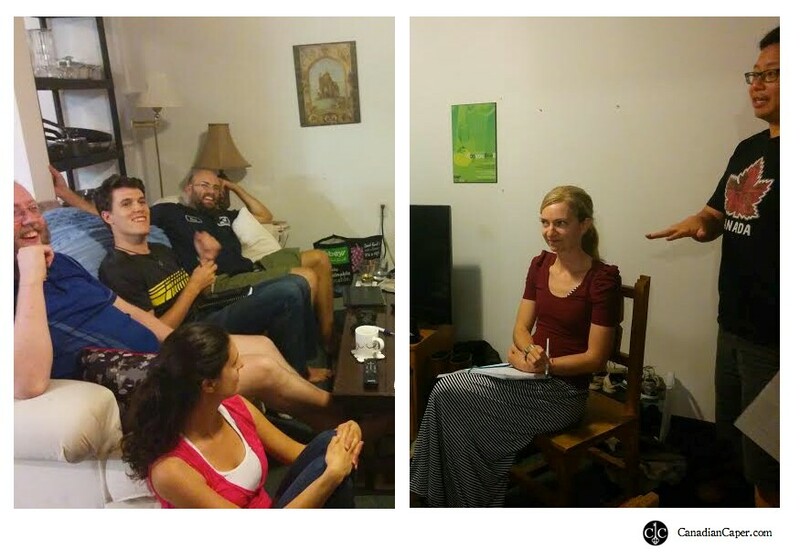 Posted on September 14, 2015, in Projects and tagged canadian capers, escape rooms. Bookmark the permalink. 1 Comment.